The knit stitch is the most fundamental stitch in the history of this craft (and its namesake). 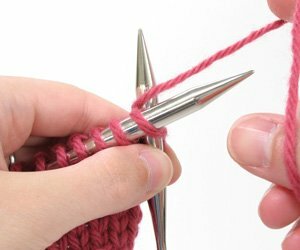 Anything you can knit is made of knit stitches and purl stitches so mastering the knit stitch means you are halfway there! The American method simply indicates that you hold the working yarn in your right hand. 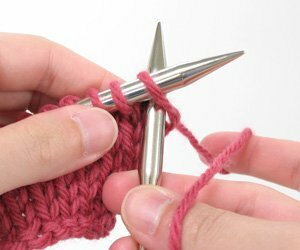 Knitters who use this style are often referred to as “throwers”. Insert right needle through first stitch from left to right. 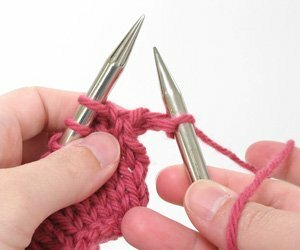 Wrap the yarn around the right needle tip counter-clockwise. Pull the wrap through the stitch you first entered. To seal the deal, slide the worked stitch off of the left needle. 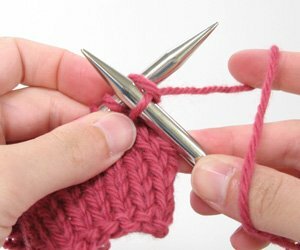 Your first knitted stitch will now rest on your right needle. This entry was posted in Knit, Video Tutorials, View All by Knit Picks Tutorials. Bookmark the permalink.